Motorola Mobility and Lenovo have won some prestigious awards for their recent products launched at IFA Berlin 2017 this week. The Moto X4 took home not one, but eleven awards, including Best of IFA (by Android Authority, 9 to 5 Google, Android Central and others). 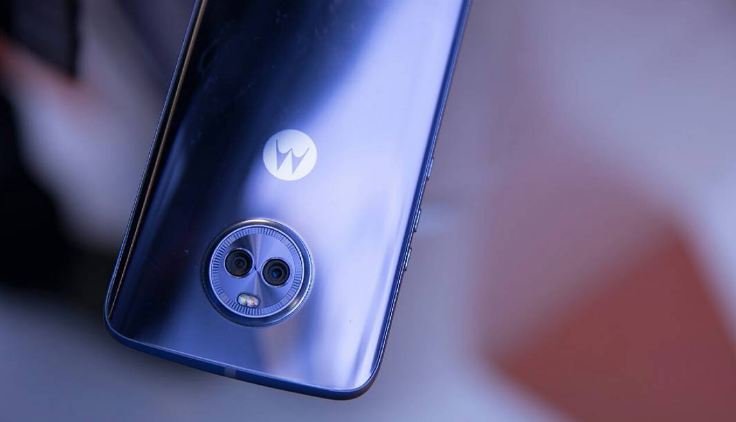 The Moto X4 was launched with a beautiful design, water resistance and an incredibly powerful camera, all at a mid-range price. It's the first Moto X device since 2015 and fans had been waiting for it, so it was a nice surprise. 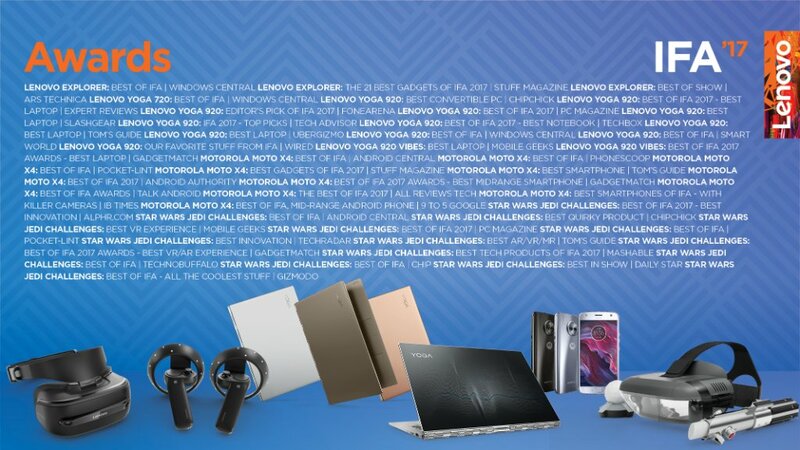 Lenovo also won several awards for its YOGA 920, the Lenovo Explorer and the Star Wars Challenge product launched at this event.